Chewa, also known as Nyanja, is a language of the Bantu language family. The noun class prefix chi- is used for languages, so the language is also called Chichewa and Chinyanja (spelled 'Cinyanja' in Zambia, and 'Cinianja' in Mozambique). 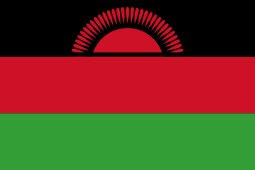 In Malawi, the name was officially changed from Chinyanja to Chichewa in 1968 at the insistence of President Hastings Kamuzu Banda (himself of the Chewa tribe), and this is still the name most commonly used in Malawi today. In Zambia, Chewa is spoken by other people like the Ngoni and the Kunda, so a more neutral name, Chinyanja '(language) of the lake' (referring to Lake Malawi), is used instead of Chichewa. Chewa belongs to the same language group (Guthrie Zone N) as Tumbuka, Sena,  and Nsenga. Chewa is the most widely known language of Malawi, spoken mostly in the Central and Southern Regions of that country. "It is also one of the seven official African languages of Zambia, where it is spoken mostly in the Eastern Province. It is also spoken in Mozambique, especially in the provinces of Tete and Niassa, as well as in Zimbabwe where, according to some estimates, it ranks as the third-most widely used local language, after Shona and Northern Ndebele." It was one of the 55 languages featured on the Voyager spacecraft. The Chewa were a branch of the Maravi people who lived in the Eastern Province of Zambia and in northern Mozambique as far south as the River Zambezi from the 16th century or earlier. The name "Chewa" (in the form Chévas) itself is first recorded by António Gamitto, who at the age of 26 in 1831 was appointed as second-in-command of an expedition from Tete to the court of King Kazembe in what is now Zambia. His route took him through the country of King Undi west of the Dzalanyama mountains, across a corner of present-day Malawi and on into Zambia. Later he wrote an account including some ethnographic and linguistic notes and vocabularies. According to Gamitto, the Malawi people (Maraves) were those ruled by King Undi south of the Chambwe stream (not far south of the present border between Mozambique and Zambia), while the Chewa lived north of the Chambwe. Apart from a few words recorded by Gamitto, the first extensive record of the Chewa language was made by Johannes Rebmann in his Dictionary of the Kiniassa Language, published in 1877 but written in 1853-4. Rebmann was a missionary living near Mombasa in Kenya, and he obtained his information from a Malawian slave, known by the Swahili name Salimini, who had been captured in Malawi some ten years earlier. Salimini, who came from a place called Mphande apparently in the Lilongwe region, also noted some differences between his own dialect (which he called Kikamtunda, the language of the plateau) and the Maravi dialect (Kimaravi) spoken further south; for example, the Maravi gave the name mombo to the tree which he himself called kamphoni. The first grammar, A Grammar of the Chinyanja language as spoken at Lake Nyasa with Chinyanja–English and English–Chinyanja vocabulary, was written by Alexander Riddel in 1880 and partial translations of the Bible were made at the end of 19th century. Further early grammars and vocabularies include A vocabulary of English–Chinyanja and Chinyanja–English: as spoken at Likoma, Lake Nyasa and A grammar of Chinyanja, a language spoken in British Central Africa, on and near the shores of Lake Nyasa, by George Henry (1891). The whole Bible was translated into the Likoma Island dialect of Nyanja by William Percival Johnson and published as Chikalakala choyera : ndicho Malangano ya Kale ndi Malangano ya Chapano in 1912. Another early grammar, concentrating on the Kasungu dialect of Chewa, was Mark Hanna Watkins' A Grammar of Chichewa (1937). This book, the first grammar of an African language to be written by an American, was a work of cooperation between a young black PhD student and another young black student, Hastings Kamuzu Banda, who in 1966 was to become the first President of the Republic of Malawi. The language is changing every day. This is because people are mixing certain words of English with Chichewa. Chewa has five vowels: a, e, i, o, u. Long or double vowels are sometimes found, e.g. áákúlu 'big' (class 2), kufúula 'to shout'. When a word comes at the end of a phrase, its penultimate vowel tends to be lengthened, except for non-Chewa names and words, such as Muthárika or ófesi, in which the penultimate vowel always remains short. The added 'u' or 'i' in borrowed words such as láputopu 'laptop' or íntaneti 'internet' tends to be silent or barely pronounced. ba, kha, ga, fa etc. mphwa, khwa, gwa, fwa etc. thya, mya, fya, nya etc. The place of bya is taken by the palatalised affricate bza, and the place of gya is taken by ja. mba, nkha, mfa, nsa, ngwa etc. The spelling used here is that introduced in 1973, which is the one generally in use in the Malawi at the present time, replacing the Chinyanja Orthography Rules of 1931. In most words, Chewa b and d (when not prenasalised) are pronounced implosively, by sucking slightly. However, there is also an explosive b and d, mostly found in foreign words, such as bála 'bar', yôdúla 'expensive' (from Afrikaans duur) (in contrast to the implosive b and d in native words such as bála 'wound' and yôdúla 'which cuts'). An explosive d is also found in kudínda 'to stamp (a document)' and mdidi 'confident step'. The affricate sounds bv and pf were formerly commonly heard but are now generally replaced by b and f, e.g. (b)vúto 'problem', (p)fúpa 'bone'. In the Mtanthauziramawu wa Chinyanja dictionary produced by the University of Malawi, the spellings bv and pf are not used in any of the headwords, but bv is used two or three times in the definitions. The combination bz is described by Atkins as an "alveolar-labialised fricative". The combination sounds something like [bž] or [bzʲ]. Similarly ps is pronounced something like [pš] or [psʲ]. The sounds written ch, k, p and t are pronounced less forcibly than the English equivalents and generally without aspiration. Stevick notes that in relaxed speech, the first three are sometimes replaced with the voiced fricatives [ʒ], [ɣ], and [β], and t can be heard as a voiced flap. In the combination -ti (e.g. angáti? 'how many'), t may be lightly aspirated. h is also used in Chewa but mostly in foreign words such as hotéra 'hotel', hátchi 'horse', mswahála 'monthly allowance given to chiefs'. j is described by Scotton and Orr as being pronounced "somewhat more forward in the mouth" than in English and as sounding "somewhere between an English d and j ". l and r are the same phoneme, representing a sound something between [l] and [r]. The spelling rules are to write 'r' after 'i' or 'e', except after a prefix, as in lilíme 'tongue'. m is syllabic in words where it is derived from mu, e.g. m'balé 'relative' (3 syllables), m'phunzitsi 'teacher' (4 syllables), anáḿpatsa 'he gave him' (5 syllables). However, in class 9 words, such as mphátso 'gift', mbale 'plate', or mfíti 'witch', and also in the class 1 word mphaká 'cat', the m is pronounced very short and does not form a separate syllable. In Southern Region dialects of Malawi, the syllabic m in words like mkángo 'lion' is pronounced homorganically, i.e. [ŋkángo] (with three syllables), but in the Central Region, it is pronounced as it is written, i.e. [mkángo]. n in combinations such as nj, ntch, nkh etc. is assimilated to the following consonant, that is, it is pronounced [ɲ] or [ŋ] as appropriate. ny is pronounced [ɲ], In words of class 9, such as njóka 'snake' or nduná 'minister' it is pronounced very short, that is to say as part of the following syllable. But it can also be syllabic, when it is contracted from ndi 'it is' or ndí 'and', e.g. ń'kúpíta 'and to go'; also in the remote past continuous tense, e.g. ankápítá 'he used to go'. In some borrowed words such as bánki or íntaneti the combinations nk and nt with non-syllabic n can be found, but not in native words. ng is pronounced [ŋg] as in 'finger' and ng’ is pronounced [ŋ] as in 'singer'. Both of these consonants can occur at the beginning of a word: ngoma 'kudu', ng'ombe 'cow or ox'. w in the combinations awu, ewu, iwu, owa, uwa (e.g. mawú 'voice', msewu 'road', liwú 'sound', lowa 'enter', duwa 'flower') although often written is generally not pronounced. ŵ, a "closely lip-rounded [w] with the tongue in the close-i position", was formerly used in Central Region dialects but is now rarely heard, usually being replaced by 'w'. ("It is doubtful whether the majority of speakers have /β/ in their phoneme inventory" (Kishindo).) The symbol 'ŵ' is no longer used in books and newspapers. In those dialects that use the sound, it is found only before a, i, and e, while before o and u it becomes [w]. zy (as in zyoliká 'be upside down like a bat') can be pronounced [ʒ] ([ž]). A third use of tones in Chewa is to show phrasing and sentence intonation. For example, immediately before a pause in the middle of a sentence the speaker's voice tends to rise up; this rise is referred to as a boundary tone. Other intonational tones are sometimes heard, for example a rising or falling tone at the end of a yes-no question. Chewa nouns are divided for convenience into a number of classes, which are referred to by the Malawians themselves by names such as "Mu-A-", but by Bantu specialists by numbers such as "1/2", corresponding to the classes in other Bantu languages. Conventionally, they are grouped into pairs of singular and plural. However, irregular pairings are also possible, especially with loanwords; for example, bánki 'bank', which takes the concords of class 9 in the singular, has a plural mabánki (class 6). When assigning nouns to a particular class, initially the prefix of the noun is used. Where there is no prefix, or where the prefix is ambiguous, the concords (see below) are used as a guide to the noun class. For example, katúndu 'possessions' is put in class 1, since it takes the class 1 demonstrative uyu 'this'. Some nouns belong to one class only, e.g. tomáto 'tomato(es)' (class 1), mowa 'beer' (class 3), malayá 'shirt(s)' (class 6), udzudzú 'mosquito(es)' (class 14), and do not change between singular and plural. Despite this, such words can still be counted if appropriate: tomáto muwíri 'two tomatoes', mowa uwíri 'two beers', malayá amódzi 'one shirt', udzudzú umódzi 'one mosquito'. Class 11 (Lu-) is no longer found in Chewa. Words like lumo 'razor' and lusó 'skill' are considered to belong to class 5/6 (Li-Ma-) and take the concords of that class. (1a/2): galú pl. agalú 'dog'. Class 1a refers to nouns which have no m- prefix. Often the first consonant is softened or omitted in the plural in this class. Ka-Ti- (12/13): kamwaná pl. tianá 'baby', tuló (no sg.) 'sleep'. Usually this class is used for small things. There are fewer concords in present-day Chewa than there were in the 19th century, since class 8 (formerly using idzi or ibzi/ibvi/ivi 'these') has now adopted the concords of class 10 (izi), class 6 (formerly aya 'these') has adopted the concords of class 2 (awa), and class 14 (ubu) has now adopted the concords of class 3 (uwu). Class 11 (Lu-) had already been assimilated to class 5 even in the 19th century in Chewa, but it still exists in some dialects of the neighbouring language Tumbuka. In addition, classes 4 and 9, and classes 15 and 17 have identical concords, so the total number of concord sets (singular and plural) is now twelve. Class 2 (the plural of class 1) is often used for respect when referring to elders, e.g. agógo angá = 'my grandparent(s)'. In class 2 and 6 ó sometimes becomes wó (wónse, ndiwó for ónse, ndió etc.). The plural personal pronoun is always iwó 'they'. Extensions which have an intensive or stative meaning tend to have a high tone, e.g. yang'anitsitsá 'look carefully', pitirirá 'carry on, keep going', guliká 'be saleable, get bought'; however, there are some exceptions such as oneka 'seem'. Most extensions, apart from the reciprocal -ana 'one another', have two possible forms, e.g. -ira/-era, -ula/-ola. The forms with e and o are used if the verb stem is monosyllabic or has an e or o in it, e.g. dy-er-a 'eat with', ton-ol-a 'remove grains of corn from the cob', chepetsa 'reduce'; the forms with i and u are used when the verb stem has an a, i, or u, as with gula above. Chichewa verbs (with the exception of the imperative mood and infinitive) begin with a prefix agreeing grammatically with the subject. This prefix is referred to by some grammarians as the 'subject-marker'. Impersonal: a- (class 1, 2 or 6), u- (class 3 or 14), i- (class 4 or 9), li- (class 5), etc. Personal: -ndi- 'me', -ku- 'you', -mu- or -m'- 'him, her', -ti- 'us', -wa- 'them', 'him/her (polite)'. For 'you (plural or polite)',as well as -ku- -ni is added to the end of the verb, e.g. ndí-ma-ku-kónda-ni 'I love you (plural or polite)'. Impersonal: -mu- (class 1), -wa- (class 2), -u- (class 3 or 14), etc. Reflexive: -dzi- 'himself', 'herself', 'themselves', 'myself', etc. The difference between them is that the first pair would normally be used for actions of which the effect is still evident; that is to say, they would usually imply that the speaker still has the item which was bought. The last two generally carry an implication that the effect of the action is no longer evident, that is to say they would usually imply that the speaker no longer has the item in question. In other words, they appear to belong to the type of tense known as discontinuous past. However, the second and third of the above tenses can also be used in narrative as simple past tenses, describing events of today or of some time ago respectively, without the implications mentioned above. An urban variety of Nyanja, sometimes called Town Nyanja, is the lingua franca of the Zambian capital Lusaka and is widely spoken as a second language throughout Zambia. This is a distinctive Nyanja dialect with some features of Nsenga, although the language also incorporates large numbers of English-derived words, as well as showing influence from other Zambian languages such as Bemba. Town Nyanja has no official status, and the presence of large numbers of loanwords and colloquial expressions has given rise to the misconception that it is an unstructured mixture of languages or a form of slang. The fact that the standard Nyanja used in schools differs dramatically from the variety actually spoken in Lusaka has been identified as a barrier to the acquisition of literacy among Zambian children. How are you? Muli bwanji? Muli bwanji? What's your name? Dzina lanu ndi ndani? Zina yanu ndimwe bandani? How many children do you have? Muli ndi ana angati? Muli na bana bangati? How much is it? Ndi zingati? Ni zingati? ↑ Hammarström, Harald; Forkel, Robert; Haspelmath, Martin; Bank, Sebastian, eds. (2016). "Nyanja". Glottolog 2.7. Jena: Max Planck Institute for the Science of Human History. ↑ cf. Kiswahili for the Swahili language. ↑ Rebmann (1877) s.v. M'ombo. ↑ Woodward, M. E. 1895. ↑ The UMCA in Malawi, p 126, James Tengatenga, 2010: "Two important pieces of work have been accomplished during these later years. First, the completion by Archdeacon Johnson of the Bible in Chinyanja, and secondly, the completed Chinyanja prayer book in 1908." ↑ Downing & Pompino-Marschall (2013). ↑ See Kishindo (2001), p.267. ↑ Scotton & Orr (1980), p.15; Atkins (1950), p.208. ↑ Scotton & Orr (1980), p.18. ↑ Atkins (1950), p.207; Stevick et al. (1965), p.xii. ↑ Watkins (1937), p. 14. ↑ Mtanthauziramawu wa Chinyanja (2002). ↑ Mtenje (1986), pp.195; 203-4; 244ff; Mtenje (1987), p.173. ↑ Stevick et al. (1965), p.147. ↑ E.g. Mtanthauziramawu wa Chinyanja. ↑ Scott & Hetherwick (1929), s.v. Ibsi; Rebmann (1877) s.v. Chiko, Psiwili/Pfiwili; Watkins (1937), p.37. ↑ Rebmann (1877) s.v. Aya, Mame, Mano, Yonse; cf Goodson (2011). ↑ Rebmann (1877), s.v. Uda; Watkins (1937), p.33-4. ↑ Hyman & Mtenje (1999b). ↑ Hyman & Mtenje (1999a). ↑ Maxson (2011), pp.39ff, 77ff. ↑ For tones, Mtenje (1986). ↑ Stevick et al. (1965), p.222. ↑ Williams, E (1998). Investigating bilingual literacy: Evidence from Malawi and Zambia (Education Research Paper No. 24). Department for International Development. Batteen, C. (2005). "Syntactic Constraints in Chichewa/English code-switching." Goodson, Andrew, (2011). Salimini's Chichewa In Paas, Steven (2011). Johannes Rebmann: A Servant of God in Africa before the Rise of Western Colonialism, pp. 239–50. Gray, Andrew; Lubasi, Brighton; Bwalya, Phallen (2013). Town Nyanja: a learner's guide to Zambia's emerging national language. Hetherwick, Alexander (1907). A Practical Manual of the Nyanja Language ... Society for Promoting Christian Knowledge. Retrieved 25 August 2012. Henry, George, (1904). A grammar of Chinyanja, a language spoken in British Central Africa, on and near the shores of Lake Nyasa. Hullquist, C.G. (1988). Simply Chichewa. Hyman, Larry M. & Al D. Mtenje (1999a). "Prosodic Morphology and tone: the case of Chichewa" in René Kager, Harry van der Hulst and Wim Zonneveld (eds.) The Prosody-Morphology Interface. Cambridge University Press, 90-133. Hyman, Larry M. & Al D. Mtenje (1999b). "Non-Etymological High Tones in the Chichewa Verb", Malilime: The Malawian Journal of Linguistics no.1. Katsonga-Woodward, Heather (2012). Chichewa 101. ISBN 978-1480112056. Kanerva, Jonni M. (1990). Focus and Phrasing in Chichewa Phonology. New York, Garland. Kishindo, Pascal, (2001). "Authority in Language": The Role of the Chichewa Board (1972-1995) in Prescription and Standardization of Chichewa. Journal of Asian and African Studies, No. 62. Kiso, Andrea (2012). "Tense and Aspect in Chichewa, Citumbuka, and Cisena". Ph.D. Thesis. Stockholm University. Kunkeyani, Thokozani (2007). "Semantic Classification and Chichewa Derived Nouns". SOAS Working Papers in Linguistics Vol.15 (2007): 151-157. Laws, Robert (1894). An English–Nyanja dictionary of the Nyanja language spoken in British Central Africa. J. Thin. pp. 1–. Retrieved 25 August 2012. Mapanje, John Alfred Clement (1983). "On the Interpretation of Aspect and Tense in Chiyao, Chichewa, and English". University College London PhD Thesis. Marwick, M.G., (1963). "History and Tradition in East Central Africa Through the Eyes of the Northern Rhodesian Cheŵa", Journal of African History, 4, 3, pp. 375–390. Marwick, M.G., (1964). "An Ethnographic Classic Brought to Light" Africa: Journal of the International African Institute, Vol. 34, No. 1, pp. 46–56. Maxson, Nathaniel (2011). Chicheŵa for English Speakers: A New and Simplifed Approach. ISBN 978-99908-979-0-6. Missionários da Companhia de Jesus, (1963). Dicionário Cinyanja–Português. Junta de Investigaçôes do Ultramar. Mtenje, Al D. (1986). Issues in the Non-Linear Phonology of Chichewa part 1. Issues in the Non-Linear Phonology of Chichewa part 2. PhD Thesis, University College, London. Mtenje, Al D. (1987). "Tone Shift Principles in the Chichewa Verb: A Case for a Tone Lexicon", Lingua 72, 169-207. Newitt, M.D.D. (1982) "The Early History of the Maravi". The Journal of African History, vol 23, no. 2, pp. 145–162. Paas, Steven, (2015). 5th edition. Dictionary / Mtanthauziramawu. English – Chichewa / Chinyanja // Chichewa / Chinyanja – English. Foundation Heart for Malawi, Veenendaal, The Netherlands. Rebman, John (= Johannes Rebmann), (1877). A Dictionary of the Kiniassa Language. Church Missionary Society (reprinted Gregg, 1968). Riddel, Alexander (1880). A Grammar of the Chinyanja Language as Spoken at Lake Nyassa: With Chinyanja–English and English–Chinyanja Vocabularies. J. Maclaren & Son. Retrieved 25 August 2012. Salaun, N. (1993) . Chicheŵa Intensive Course. Likuni Press, Lilongwe. Scott, David Clement & Alexander Hetherwick (1929). Dictionary of the Nyanja Language. Wade-Lewis, Margaret (2005). "Mark Hanna Watkins". Histories of Anthropology Annual, vol 1, pp. 181–218. Watkins, Mark Hanna (1937). A Grammar of Chichewa: A Bantu Language of British Central Africa, Language, Vol. 13, No. 2, Language Dissertation No. 24 (Apr.-Jun., 1937), pp. 5–158. Woodward, M.E., (1895). A vocabulary of English–Chinyanja and Chinyanja–English as spoken at Likoma, Lake Nyasa. Society for Promoting Christian Knowledge. Wikivoyage has a travel guide for Nyanja phrasebook. Willie T. Zingani, Idzani Muone, Lubuto Library Special Collections, accessed May 3, 2014.